I was tired, hurried, frustrated and ready to just go home. My husband, John, was pushing our son, Mareto, in the cart as fast as he could to leave the store before the meltdown got worse. We were frantically trying to open up a cereal bar to stem the tears. Our daughter, Arsema, was strapped to my chest in the ergo carrier watching it all through wide eyes. Sweat beads were forming on my forehead, caused in part by my embarrassment but mostly from the heat and amount of energy I was exerting by running through Trader Joe’s with my 18 pound baby strapped to my chest and my toddler screaming behind me. Our family doesn’t exactly blend in with the wallpaper. Not only are we two white parents with a brown son and daughter (something that causes enough stares and questions all by itself), but our son has noticeable developmental delays and different behaviors because of autism, and our daughter has missing and webbed digits. In other words, when we all go out together, we stand out. Usually I don’t mind, and often I love it. My children are beautiful, and so is our story. Sometimes though, on the days when we’re far from having it together, I do mind. Those days I just want to blend in with the crowd and hide far away from the curious stares. Some days I get tired of it all and just want to be a family — not the adoptive family, not the family with special needs children, not the unique family — just a family. This was one of those days. “Ma’am!” I stopped and turned to find a young woman rushing toward me. A bright smile covered her face, and I immediately noticed her beautiful black curls, just like the black curls snuggled on my chest, tickling my chin. Recognizing her shirt, I realized she worked there and assumed I must have dropped something. I looked at her, holding back my tears, waiting. I wish I had thought to get her name. I wish I could go back and tell her, two years later, what her gift continues to mean to me today. To the beautiful young woman in the parking lot of Trader Joe’s … thank you from the bottom of my heart. You are a treasure. 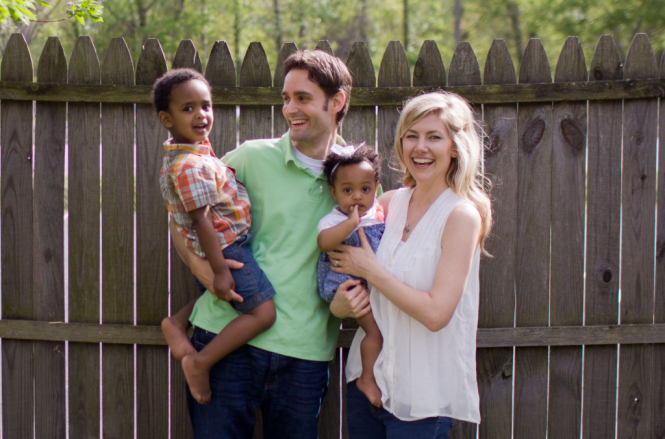 Lauren Casper is a Chaplain’s wife and the mother of two beautiful pre-schoolers. She is passionate about adoption, grace, compassion and advocating for those living with special needs as well as the ones who love them. 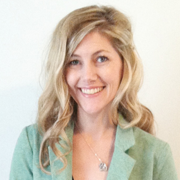 Lauren blogs about infertility, life with special needs children and much more at her blog, www.laurencasper.com. Life is messy but beauty truly surrounds you! Hang in there, my dear sister, I have children of all colors, and when I am out with them I get stares , and I love it. These words always come out of my mouth, my heart when I speak to onlookers, “what do you think Jesus would say.’ We are not different kinds, but are humankind…Your heart shines through your children, God blessed you with two of his, to two whom he treasures because you and your husbands love emulates His amazing love. You also made my day, thanks for the blossoming smile you sent my way. God has purpose in everything he allows us to share! God bless you and your family my dear sister! Amazing life changing experience. Great job in being someones role model. A very inspirational post!!!! Thank you very much for sharing it!!!! Thank you for what you do!! I couldn’t make it to the end without wiping my own tears. Your written account of your day at Trader Joes was very moving. It goes without saying, how blessed you and your (blended) family are, but what a treat to know of the Angel who handed you the flowers. An Angel, whom I believe was Gods way of letting you know, in that moment you needed it, hey, all families go through this. You are doing a good job. Just breathe and do what comes naturally. Love your kids, even when they have tantrums! Wow. What a wonderful story very heartwarming!